I don't think hauls need much of an introduction and because I have quite a lot to show you, let's just get on with it! This month I have accumulated quite a bit of makeup here and there, most of them being gifts.... So I don't feel too bad. The above Sephora haul is what my boyfriend bought me for my birthday with the help of two of my best girl friends. If any of them are reading this, THANKS SO MUCH! I had wanted the Naked Palette months before its release but for various reasons never bought it. I explain in my haul video at the end of this post on what those reasons were if you're interested. 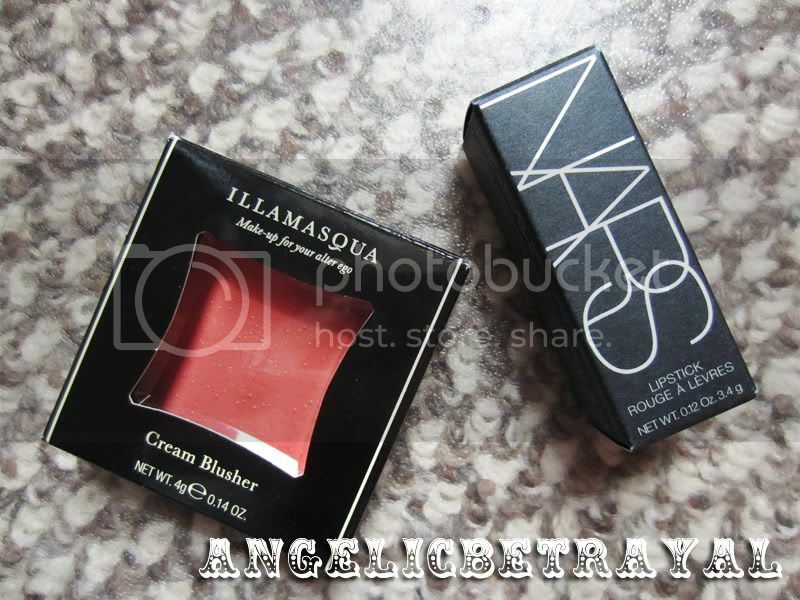 I also received my second Nars blush, highlighter actually, in Albatross which I also really wanted. 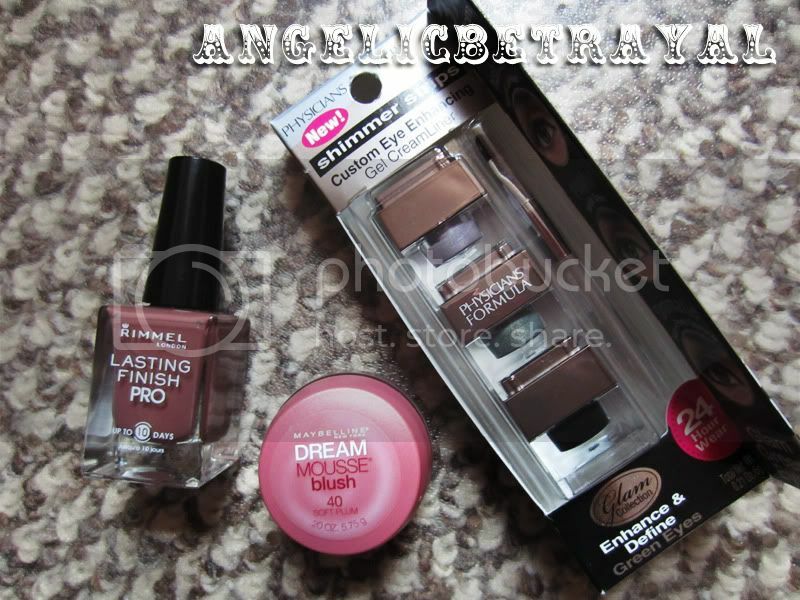 They also picked out a Buxom duo set with an eyeliner and mascara as well as another polish set which I adore. I LOVE LOVE LOVE Sephora By Opi nail polishes.... Another four plus the set of six I bought myself during the Friends & Family Sale makes an even ten! 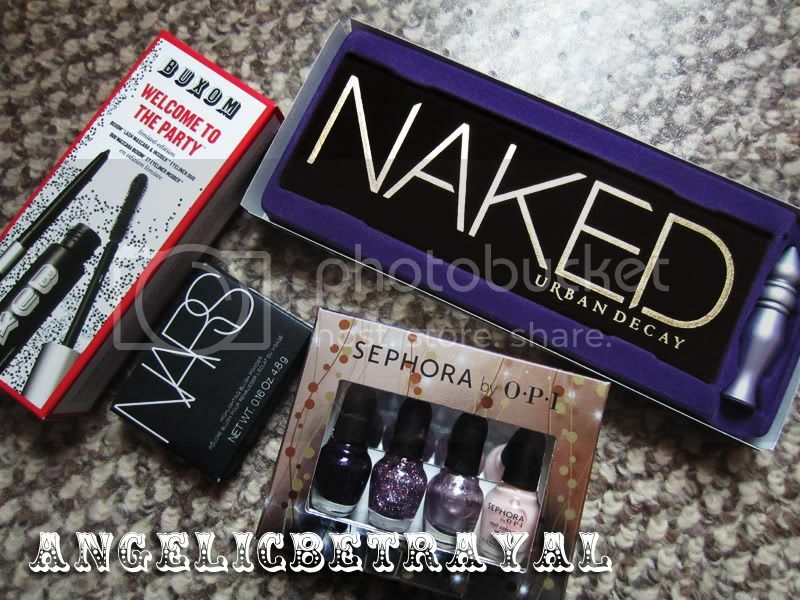 My good friend also got me two goodies from Sephora for my birthday and Christmas gift. She made me come up with a list of items for her to choose so I kinda knew what I was getting... heh. She picked Illamasqua's Rude Cream Blush (my first cream blush!) and Nar's lipstick in Cruising. Both are really beautiful and I can't wait to wear them. Sorry that I forgot to take Cruising out of the package. You can see the actual color in the haul video! Now for the drugstore things! My mom picked up a Rimmel Lasting Finish Pro nail polish in Hot Cocoa for me because I said I wanted a brown nail polish. I bought the Maybelline Dream Mousse Blush in Soft Plum and the Physician's Formula Gel Liner Trio in Glam Green Eyes from CVS's Beauty Clearance Sale. They gave me a $3 coupon for my birthday so I got both items for only $5! 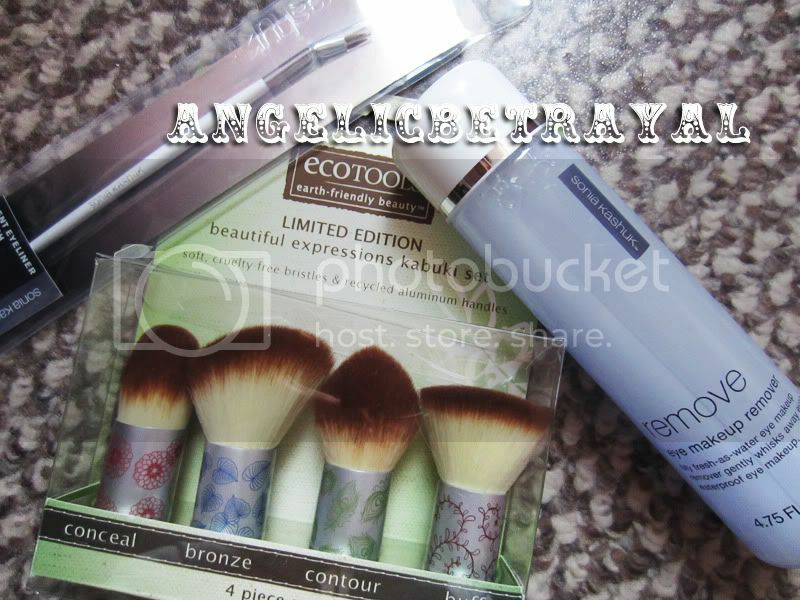 I also went to target to get some eye makeup remover and chanced upon the limited edition Ecotools Kabuki Set. I also picked up the angled liner brush from Sonia Kashuk. I can already say I really like the mini kabukis (they will be great for travel!) and the angled brush is decent so far but I need some time to get used to it more.By the way, you can't tell from the picture but the Sonia Kashuk eye makeup remover is a bi-phase remover but I shook up the bottle so the liquids mixed and turned cloudy. Lastly I have a piece of Lush's Angel's Delight Soap which I got as a freebie when I went to buy Christmas gifts. I went in on my birthday and spent over $100 on Lush goodies (none of which were for myself....) so the sales girl let me choose something to sample. She gave me a really generous sample! I also cut my Lush soaps differently than how I showed HERE. I used to cut them very small so I could use them in one or two showers but the little pieces were hard to hold and resulted in a lot of product wastage. I cut the Angel's Delight Soap into three pieces so I have hand held pieces now if that gives you an idea. Check out the video below to see some preliminary swatches and my first impressions! This is definitely one of the larger, more pricey, hauls that I have done thus far and I received several giftcards furing December as well. I already went shopping yesterday and amassed a bunch of items so I already know what is going to be in my next haul :) My next haul will be more fashion oriented with a few bits of beauty goodies thrown in! 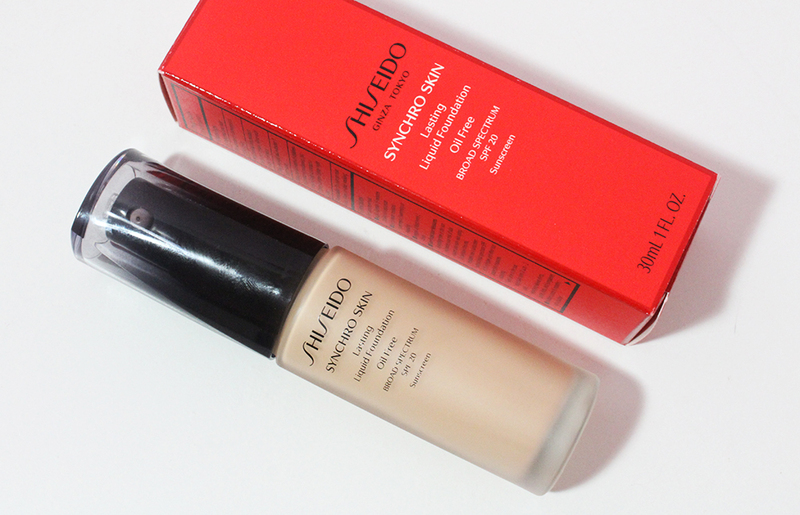 Hope you like hauls and expect reviews of the aforementioned products really soon! wow! such a nice haul! Glad you got some nice things for yourself for the holidays! 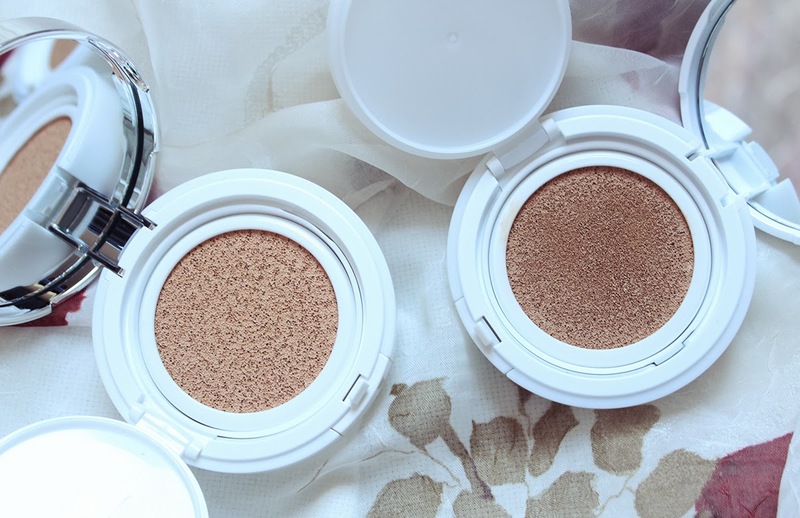 love the cheek products! Pang: I will definitely review and swatch them in depth soon!